I can finally share this blogpost. Are you all familiar with Tracey Wirth Designs? She is a surface and textile designer and has her first fabric line coming out soon with Paint Brush Studios. Tracey is one of the nicest people I've ever known so when she asked if I'd like to play with her new fabrics, of course, I said yes. The playful nature of these fabrics told me that they wanted to be made into a sweet little Geranium Dress for my granddaughter. This seemed a perfect little dress to show off this pink print. I used a coordinating print from the same fabric line to line the bodice. I chose to make a combination of View A and B, so it has the cute ruffled sleeve with the pockets and pleated skirt. I finished it on the back with plastic snaps, which are perfect for children's clothing. I made a size 6-12 months. I also made a knitting project bag with my favorite print in this fabric lone. 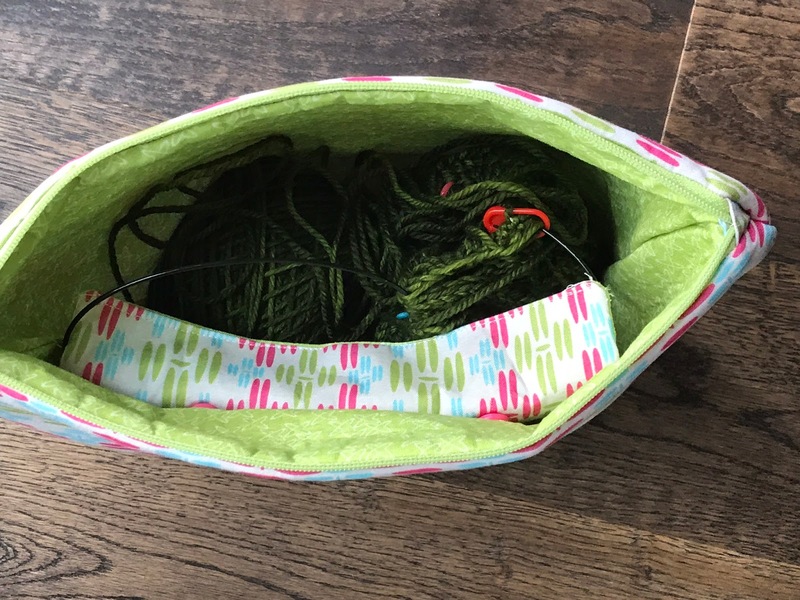 This bag is big; it's definitely a sweater project bag because it holds 4-6 skeins of yarn. And just because I had the fabric and I needed a smaller knitting project bag, I made this one, too. 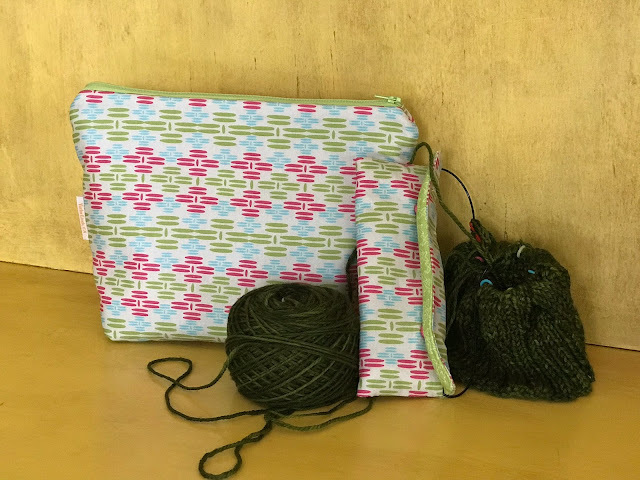 This one is a one skein project bag, but I also made a needle minder case to keep the knitting needles safely inside the bag. 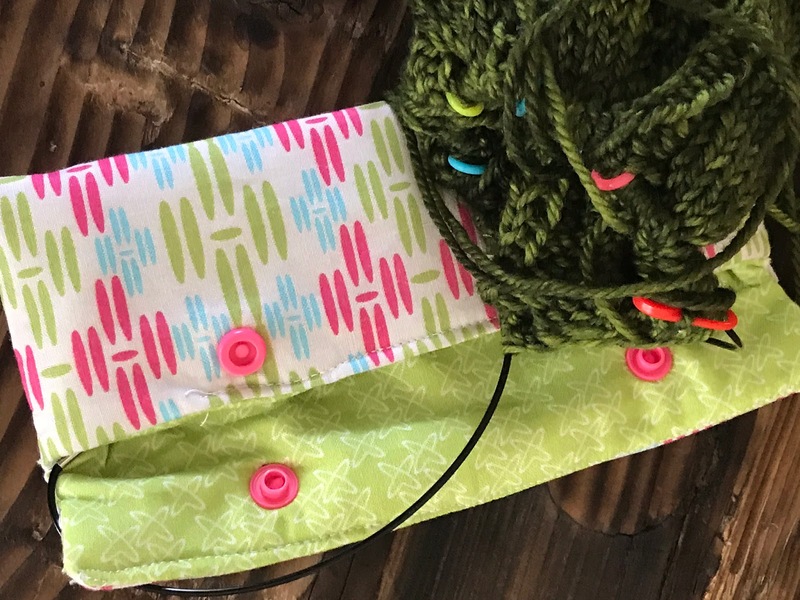 It also helps to ensure that the knitting won't slip off the needles inside the bag. It snaps inside the bag but can be removed to use in other bags, too. So here you see three fun projects. 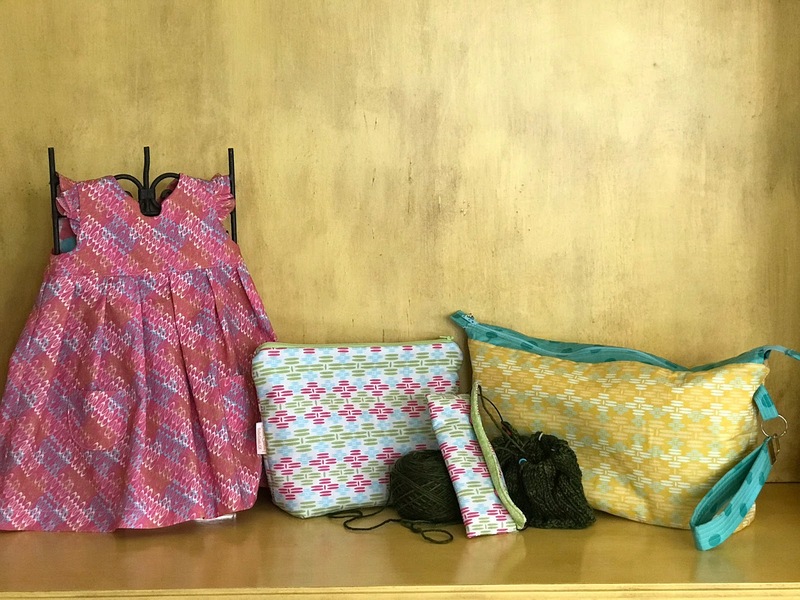 What will you make with these fabrics? I finished this Jaycee Cardigan in July but I am just now getting around to writing a blog post about it. This last weekend we were away to our favorite Cayucos Beach rental cottage which allowed me to play fashion model on location. This sweater, called Jaycee, is a pattern by Isabell Kraemer and can be found on Ravelry. 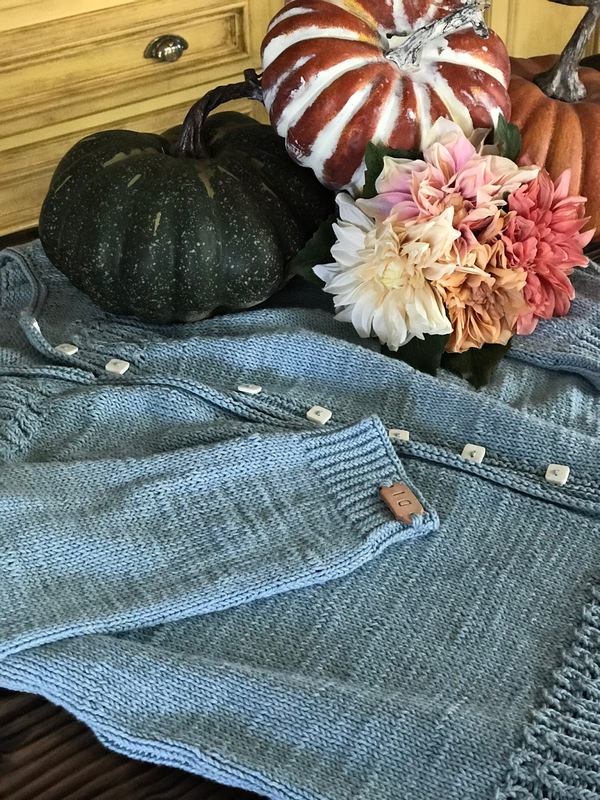 I wanted a light weight summer cardigan for cool evenings and the early part of fall when the days are still hot but the nights can be cool. I used Cotton Pure yarn from Purl Soho. 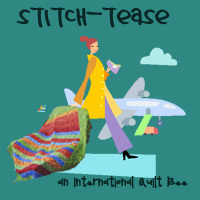 The sweater is knit top down on US size 4 LYKKE interchangeable circular needles. The pattern for the lace work on the yoke was easy to follow. Overall, the pattern was an easy one. I finished the sweater with some square buttons and a leather tag on the sleeve. I am still trying to find some knitting labels that can also be decorative.